Good afternoon everyone! I hope you are all having a wonderful Wednesday! 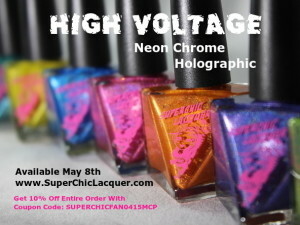 Today is another cold, dreary, foggy day and I am ready for some sunshine. 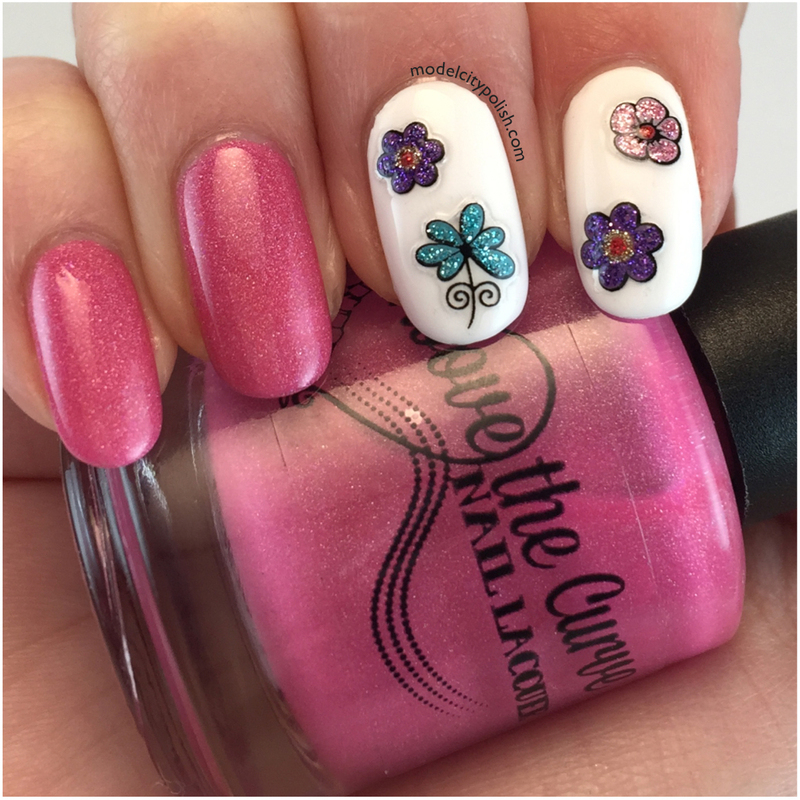 To get things a little more bright and cheery I’m going to share a fun spring mani complements of Born Pretty. 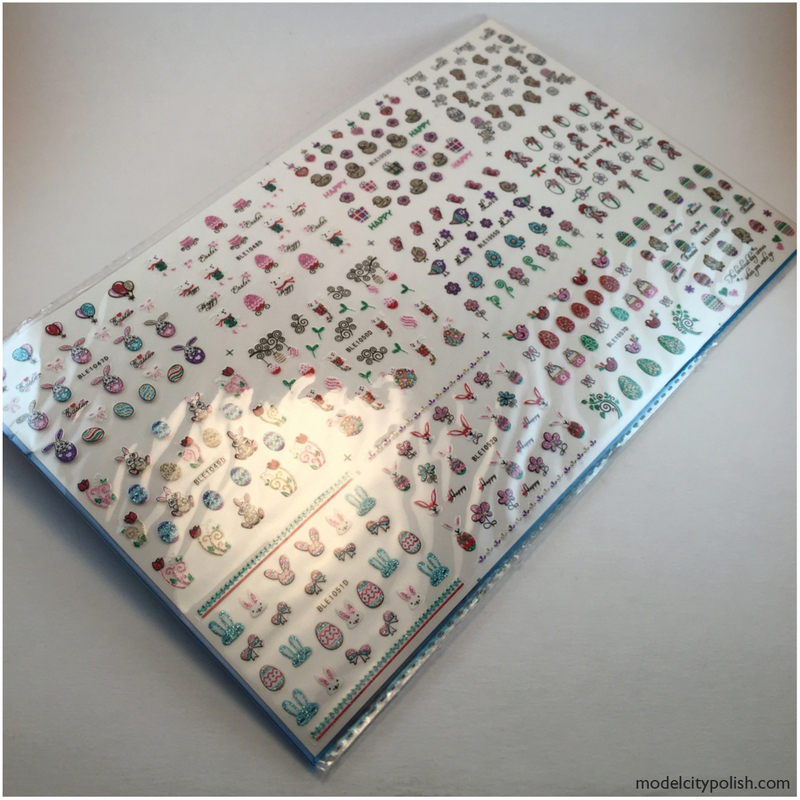 I received some 3D Nail Art Decals and was totally blown away by the sheer number of decals for only $6! 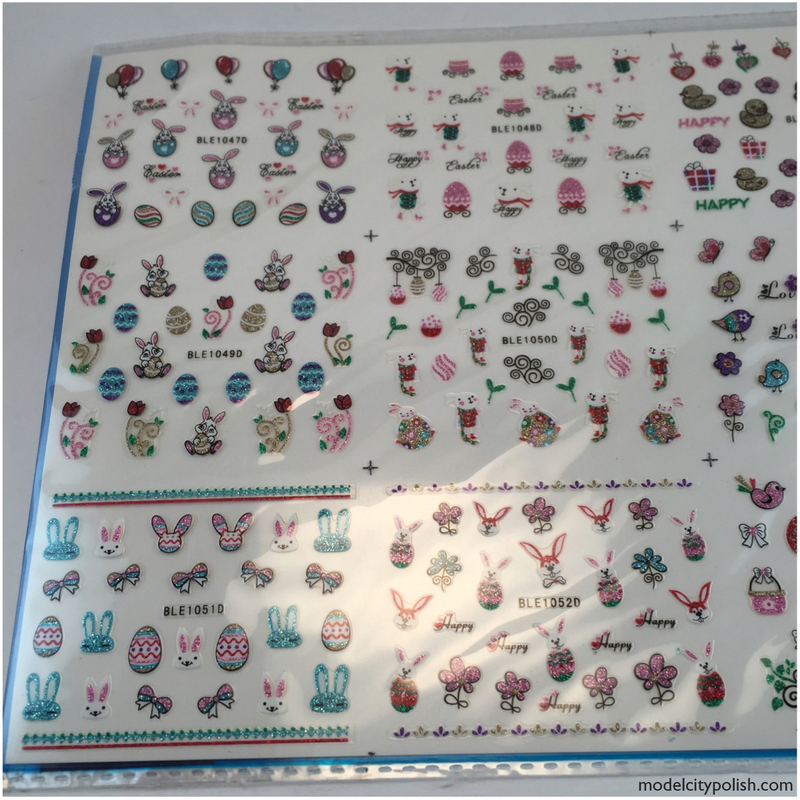 There are enough decals to get your through spring for the next 5 years, at least! You get flowers, balloons, bunnies, ducks, hearts, eggs, and they are glittery!!! Okay, let’s take a look at what I created today with these cute decals. 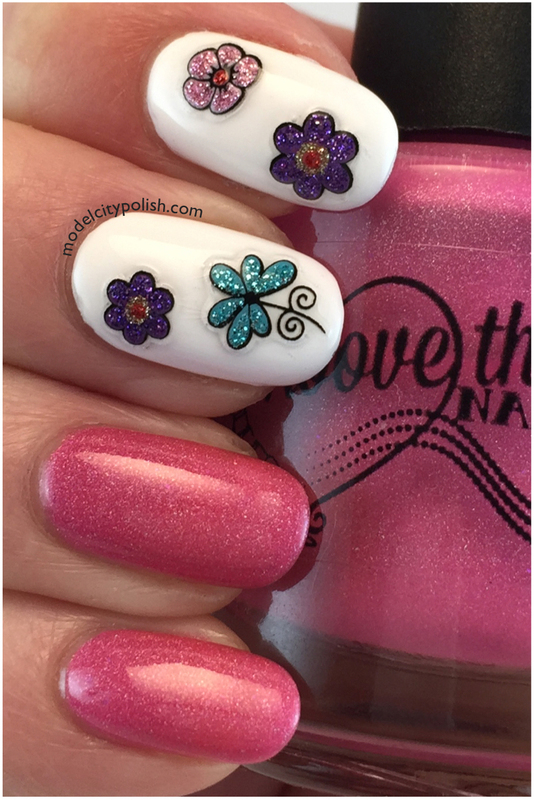 I used my OPI Alpine Snow for a clean back drop for the decals and Above the Curve Glow With The Flow for a bright accent. The decals removed easily from their sheets and I used tweezers to place them. I did apply them while the polish was still slightly tacky so I could “set” them in a little more. These guys are a little thick so getting a smooth effect requires a little work. Even after two good coats of Gelous and a coat of HK Girl Top Coat, there were still some raised spots. 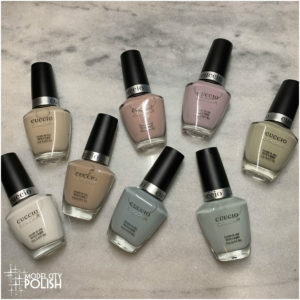 I am a nail polish picker so the slightest imperfection can send me in to a peeling pit of doom so I have to be cautions. 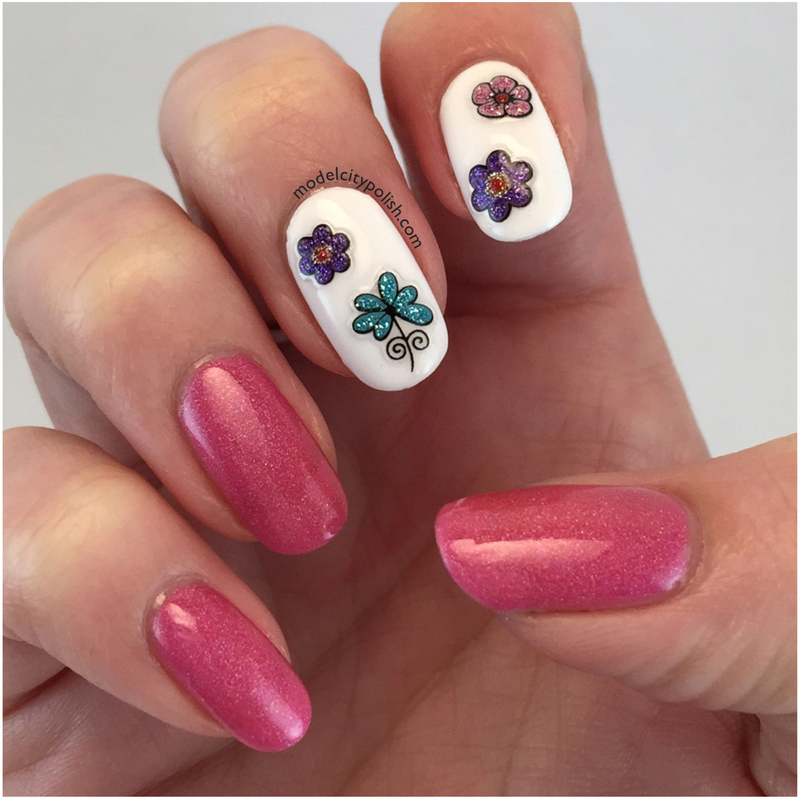 While I couldn’t wear these decals for days for that exact reason, they are great for one day wear. 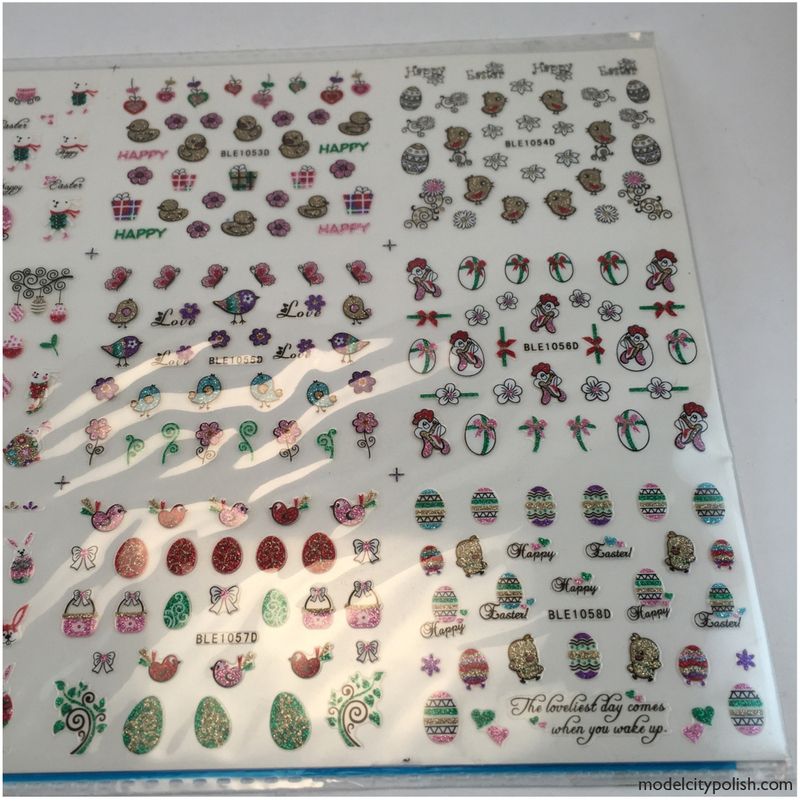 These nail decals were sent to me for review but that does not influence my final opinions. I see some really cute stickers in this set. 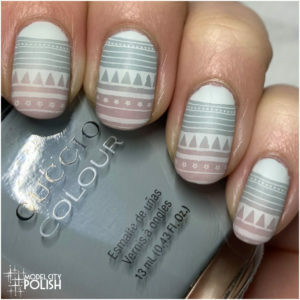 I like how you’ve used them in your mani as well!